Microsoft is increasing its commitment to the Airband Initiative, its program to close the rural broadband gap. The program launched in July 2017 with the goal of giving 2 million Americans in rural areas access to broadband Internet. Now the company’s goal is to reach 3 million Americans by July 2022. Microsoft recognized that people living in rural areas didn’t have the same access to broadband Internet as those in urban areas. In fact, according to the FCC, 8% of Americans currently do not have access to a broadband Internet connection. This adds up to a whopping 25 million Americans, 19 million of which live in rural parts of the country. Initially, Microsoft extended the program to the upper east coast of the country, in states like Maine and New York. The project has been deployed in 16 states already and is expanding to an additional 9 states in 2019. Microsoft developed a strategic approach bringing together private and public-sector organizations. Microsoft partners with Internet service providers using technology such as TV white spaces to increase the reach of WiFi. TV white space refers to unused broadcasting frequencies. Television networks leave gaps between channels for buffering purposes. These spaces in the wireless spectrum are similar frequencies used for 4G. Because of this, these frequencies can deliver widespread broadband Internet. Microsoft is also working with hardware manufacturers to make TV white space devices more affordable. Over the past 18 months costs have dropped significantly. Where TV white space connectivity devices were once $800 or more, now they are down to $300 or less. 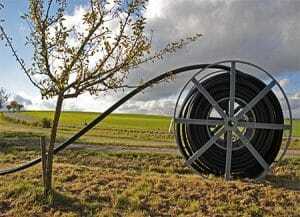 Lower prices are critical to bringing broadband expansion to rural areas.